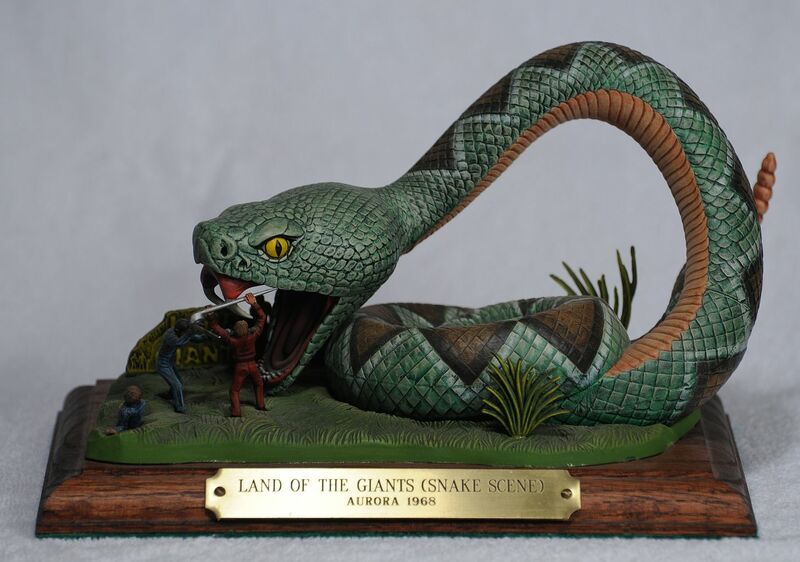 Issued by the Aurora Company in 1968. 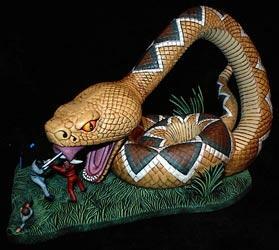 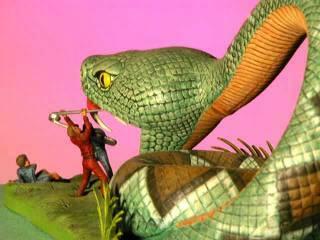 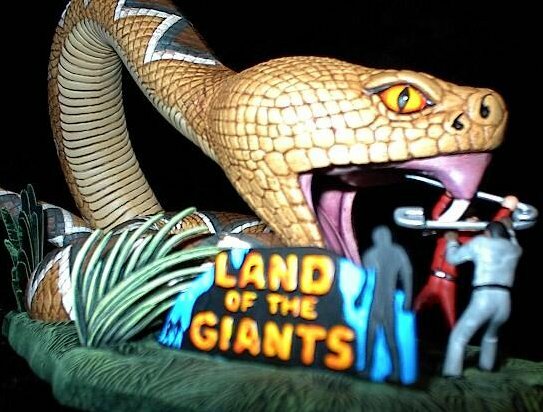 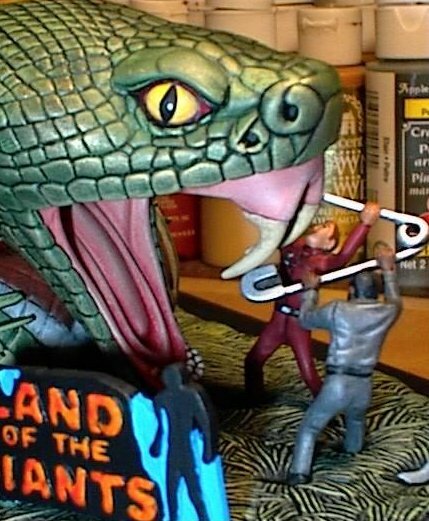 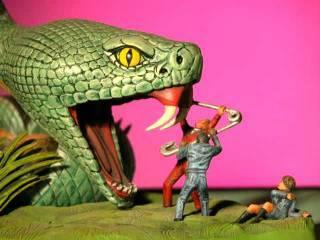 The kit comes with (3) spindrift cast members fighting off a giant snake with a giant safety pin. 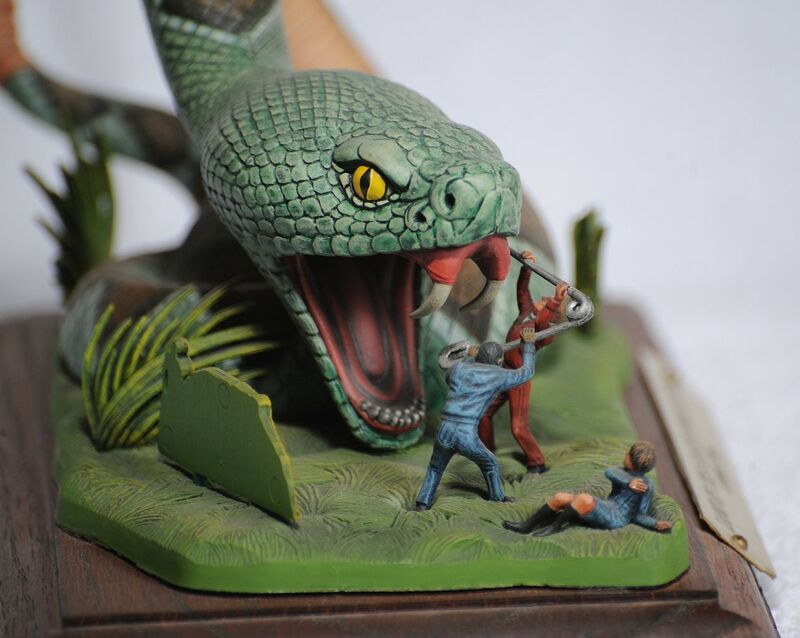 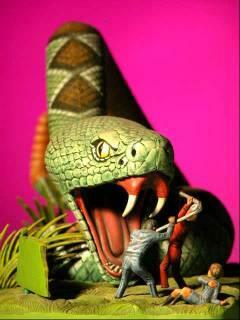 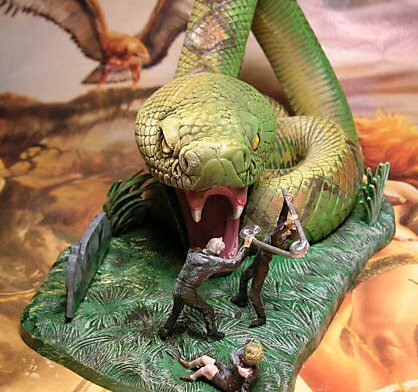 The kit was molded in green plastic, and included various scenery pieces. 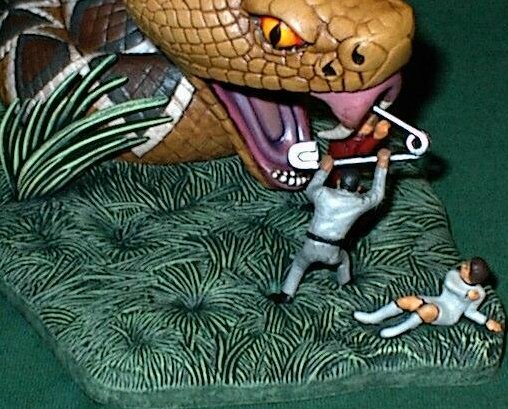 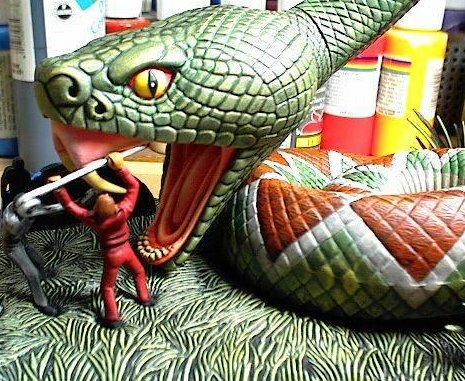 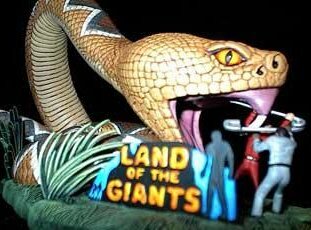 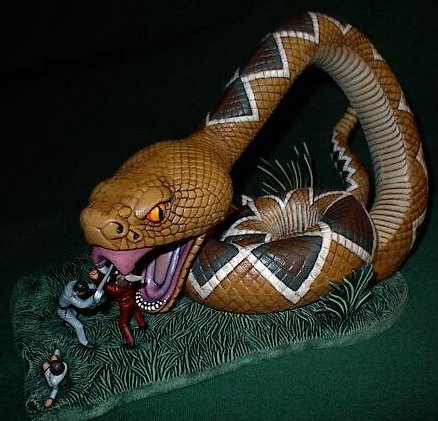 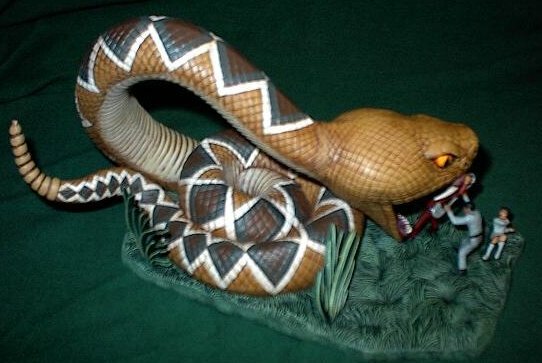 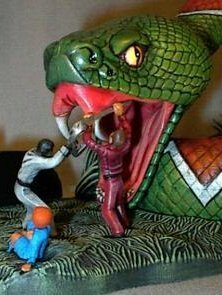 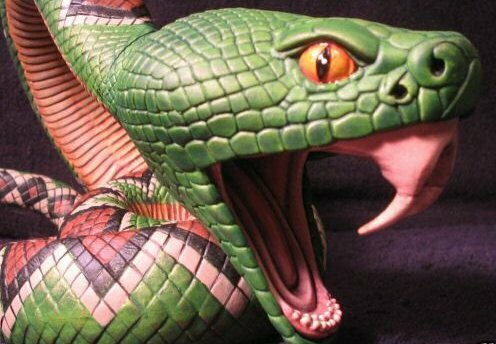 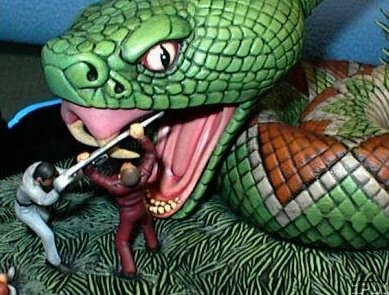 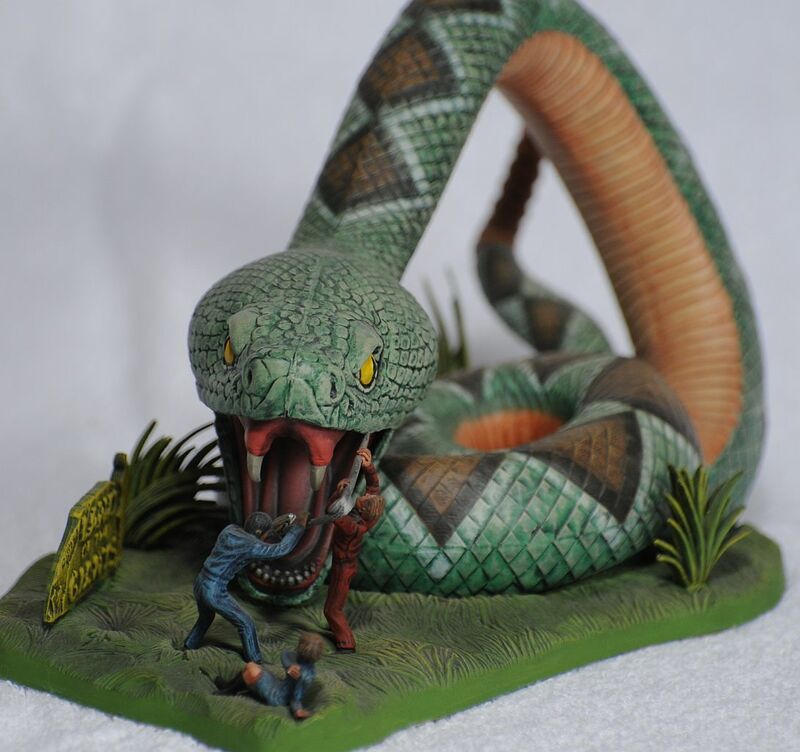 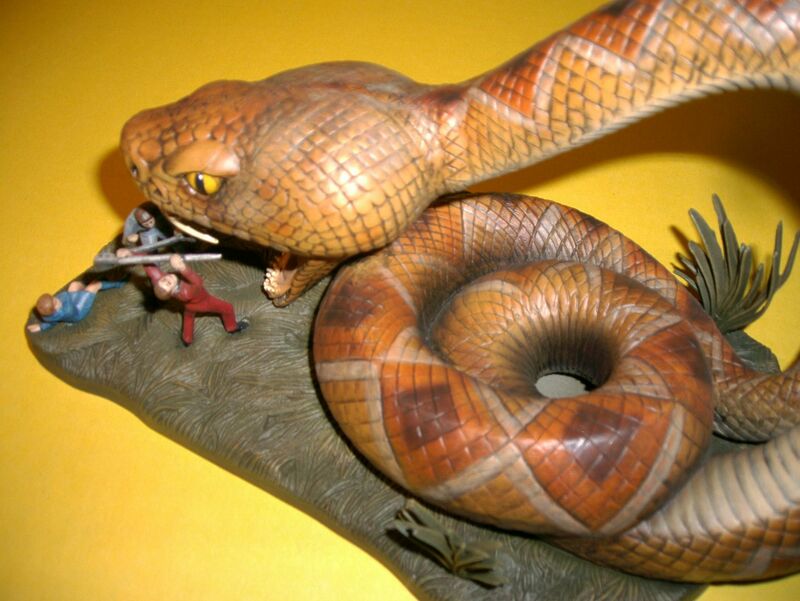 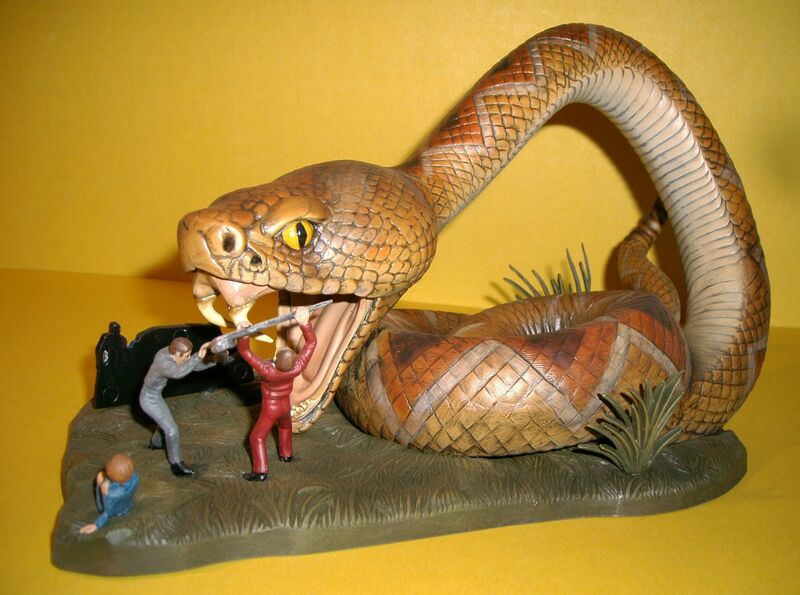 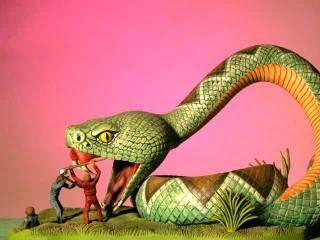 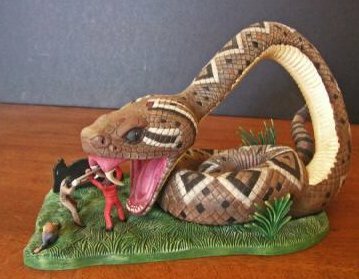 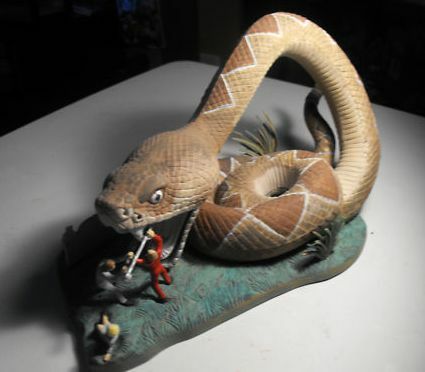 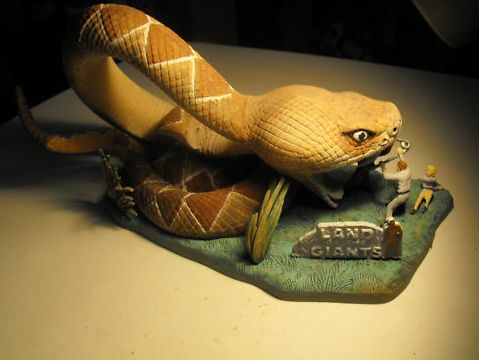 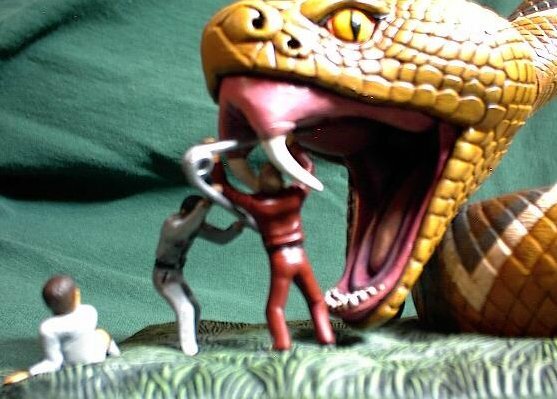 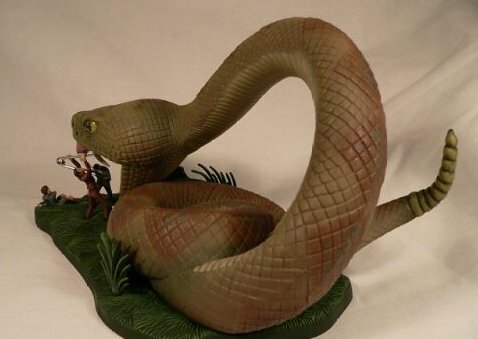 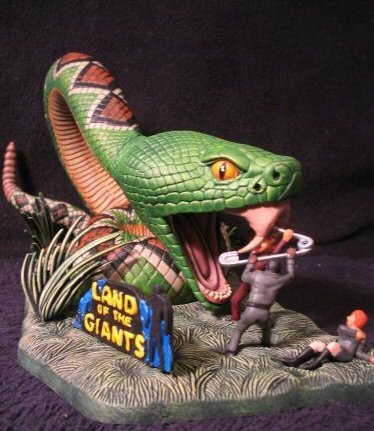 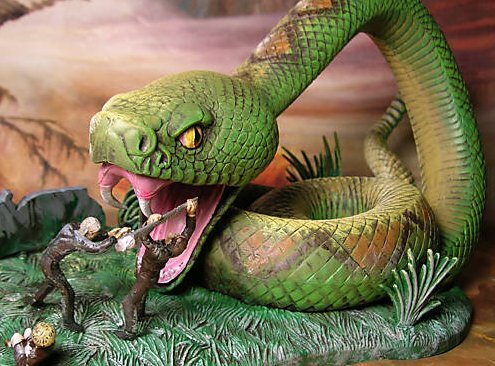 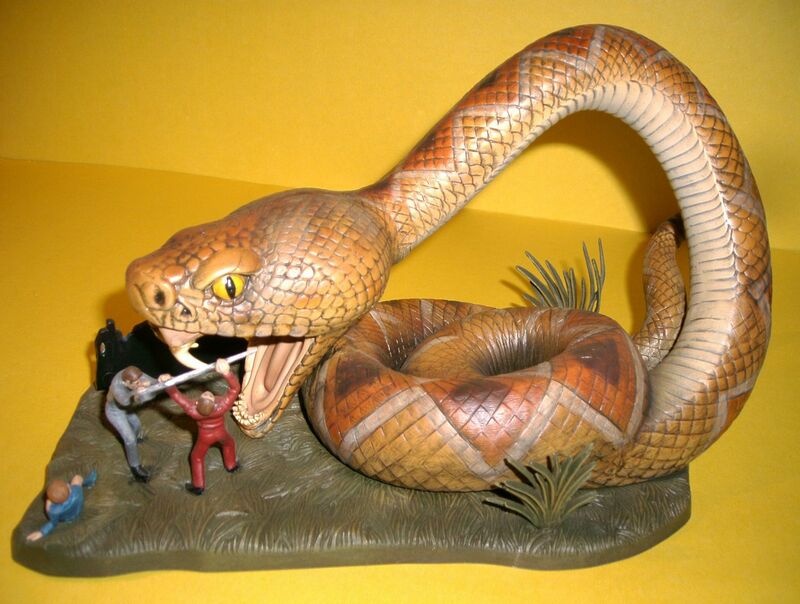 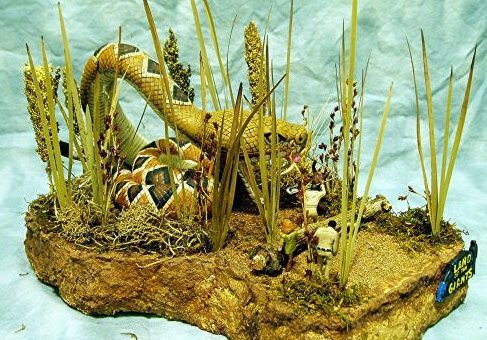 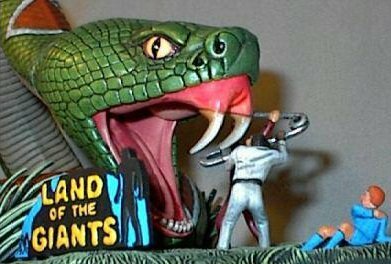 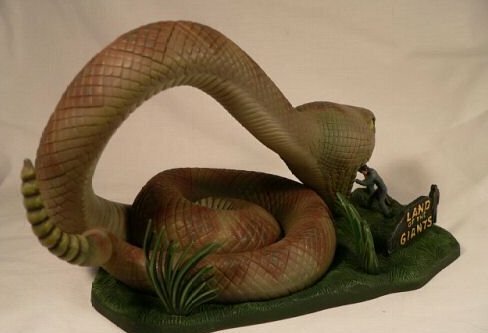 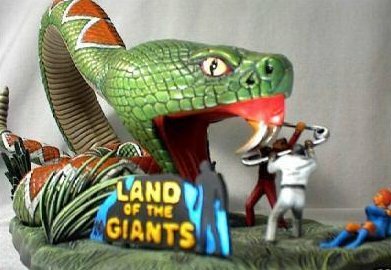 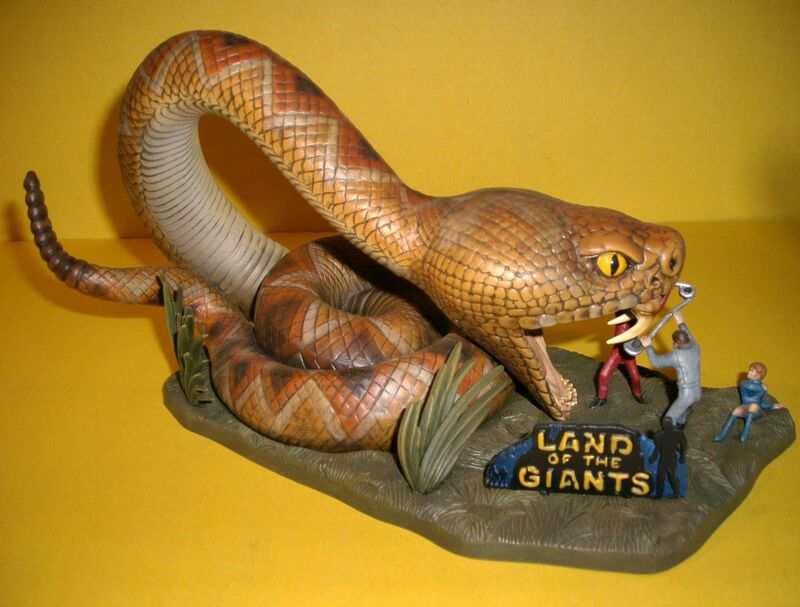 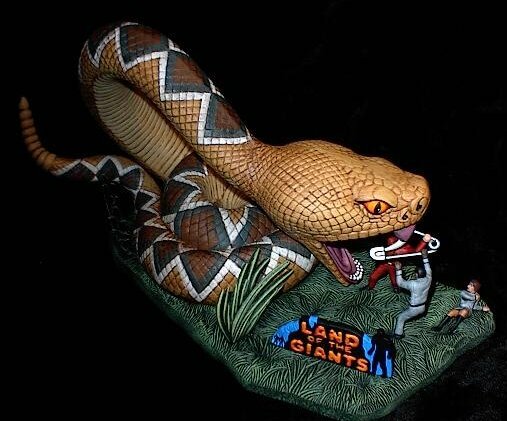 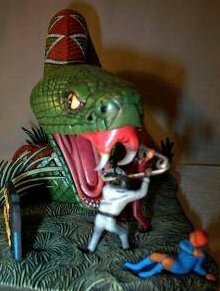 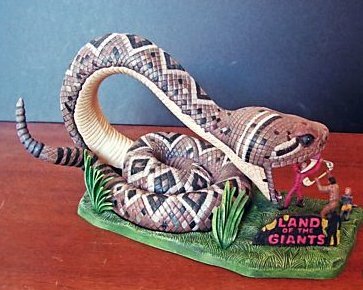 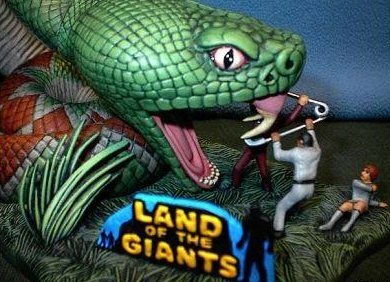 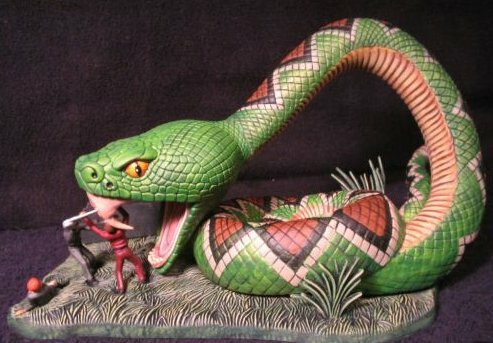 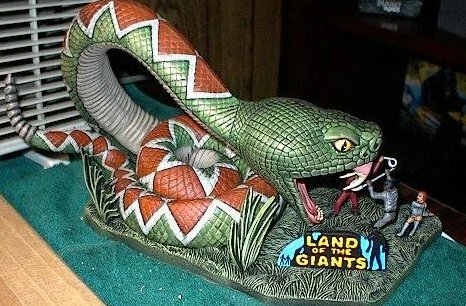 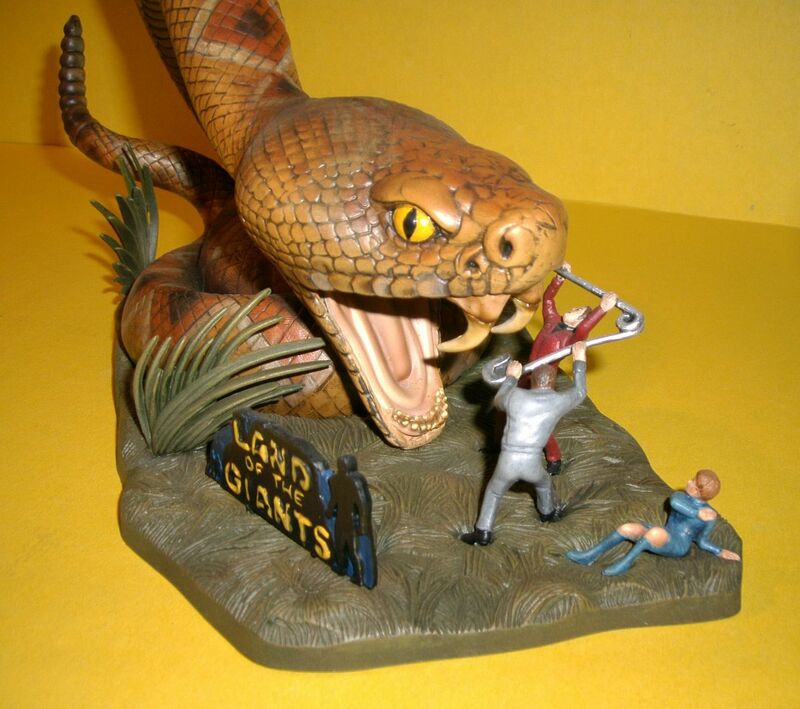 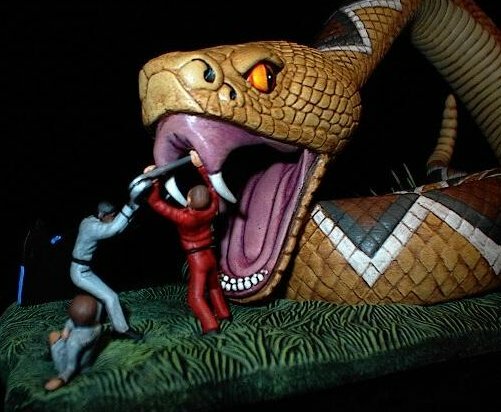 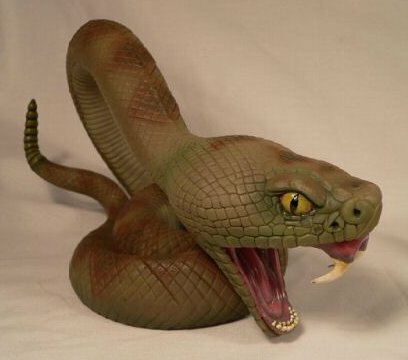 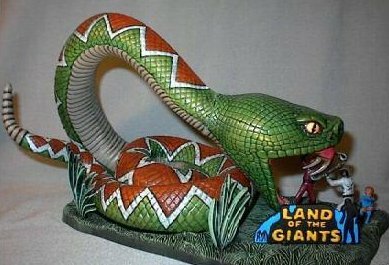 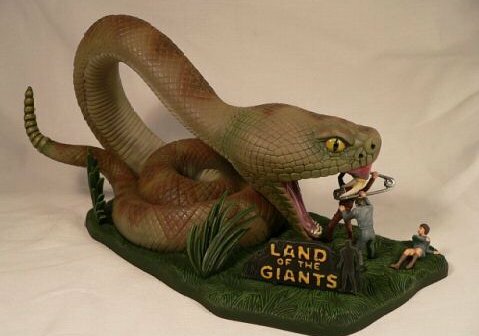 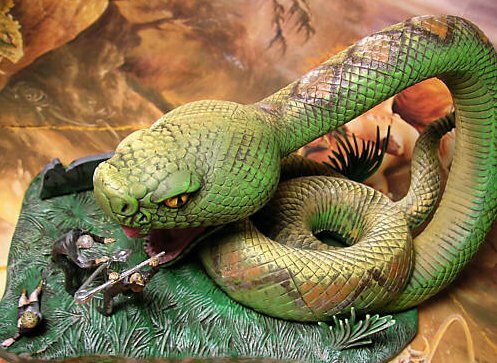 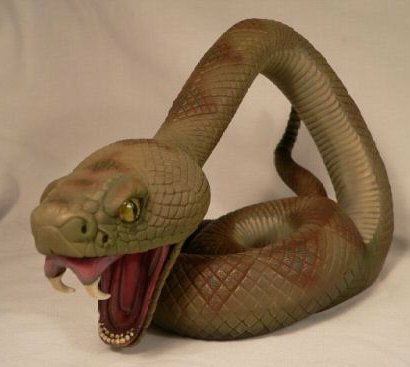 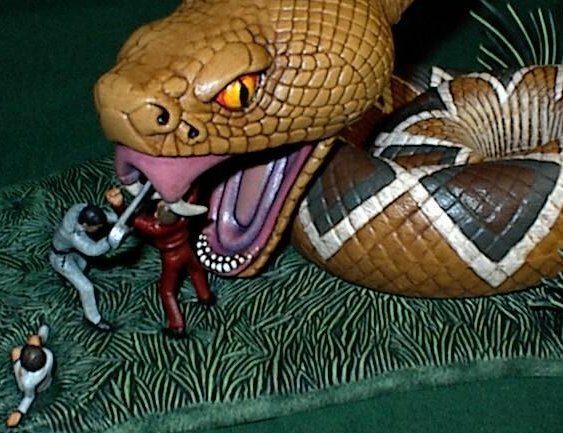 (1)The snake model displayed here was posted on eBay on 06/26/01 and was a kit on display in the stores promoting the kit. 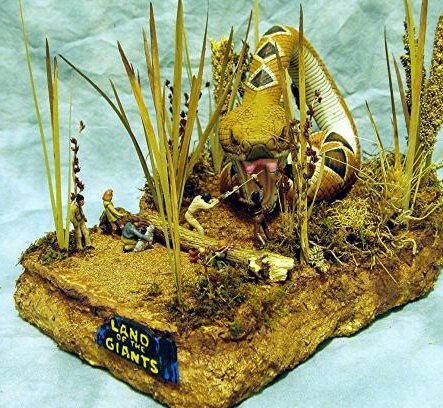 (2) Diorama I purchased in 1998 from a "Toy Shop" auction. 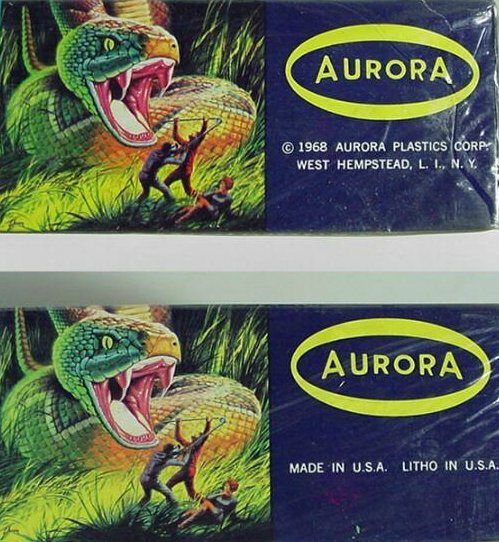 The seller obtained a large collection of Aurora kits from a collector. 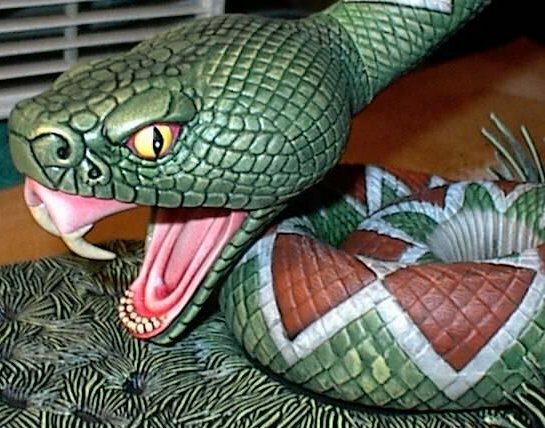 This is the most incredible detailed kit. 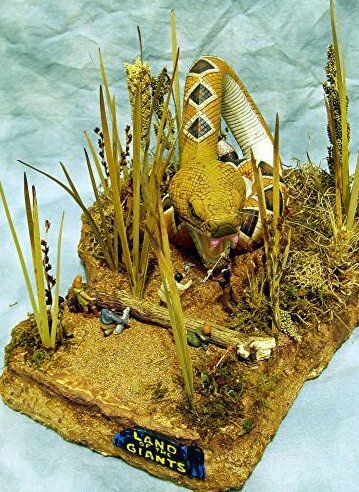 These kits are quite rare, and worth around $1,000. 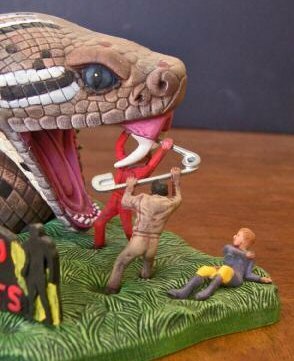 on today's market. 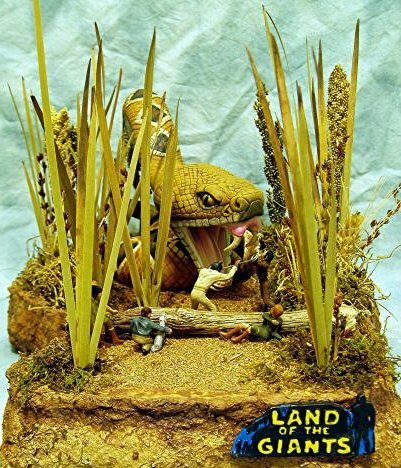 (3) I would like to thank "Glenn Rodriguez" of Brookfield, Illinois for the new Polar Light's diorama recently added to my collection. 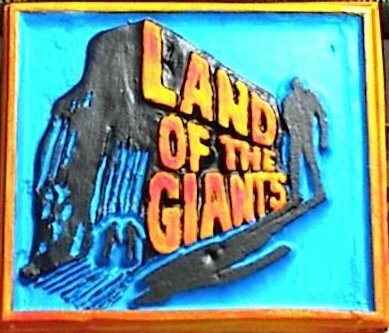 Also shown here is a fan made resin name plate logo. 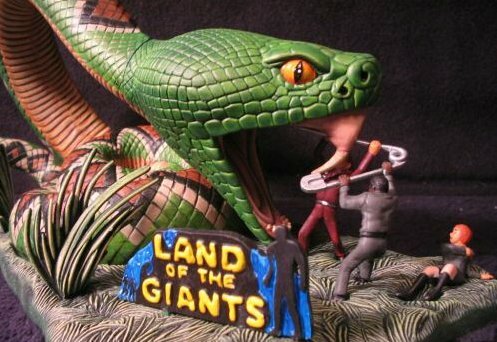 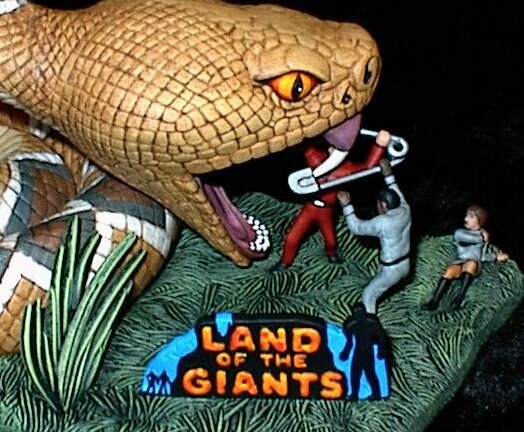 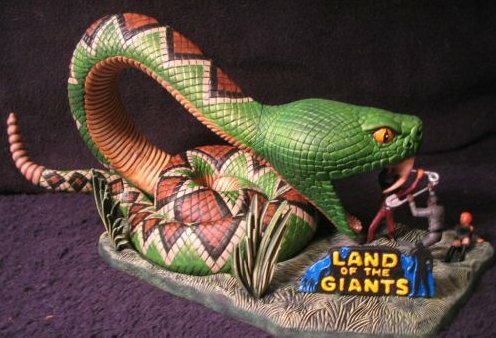 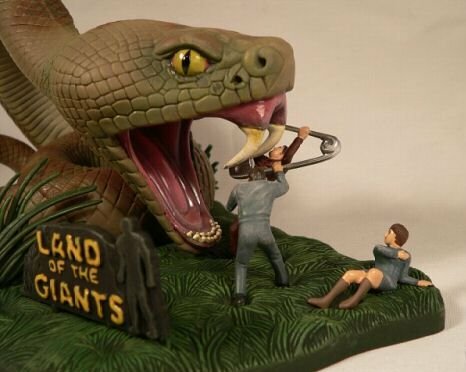 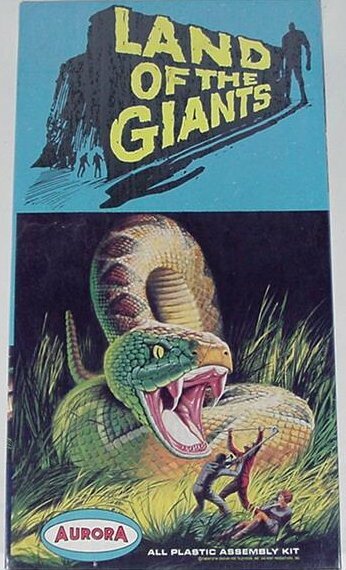 This is a great addition to any Land of the Giant's kit for that finishing touch!